Sprint has really been pushing their "unlimited data, unlimited minutes, ...unlimited everything" plan they call "Simply Everything." It's $99 per month and honestly, we are pretty big fans. It's not SERO (their not-so-secret discount plan), but it's not bad. Sprint told us that they're going to "Instinct the Pre", which basically means they plan to throw a ton of marketing muscle behind it. It may also mean something else and that something else has been a (perhaps mistaken) assumption of ours: as with the Instinct, it's possible that Sprint will require the Simply Everything plan for all Pre owners. We all know that there is a lot of downward pressure on price for smartphones ever since the iPhone 3G came in at $199 after contract, and Sprint's best method for assuring a low cost for most customers is requiring the SE plan. 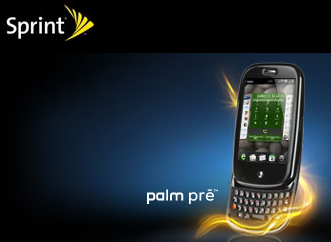 Not so fast, says TreoCentral forum member intro, a quick look at Palm's product page and at Sprint's Pre press release reveals some different languages. Palm says that "A data plan is required" while Sprint counters with "Data: A $0.03/KB charge applies without a data plan." If Sprint is printing warning about how much data would cost without a Data plan, it stands to reason that they may let you buy it without one. Maybe. It's engendered quite a discussion over in our Pre forums but the bottom line is this: it's highly likely that Sprint and Palm haven't even made the final decision on price and require plans yet. Our hunch is still that Simply Everything will be required, but we'd be relatively happy to be wrong.